Leadership is the greatest adventure that college has to offer. Are you up for the challenge? Build a home for gaming on your campus. Tespa chapters are officially-recognized student gaming clubs across the US and Canada. Together with Tespa, chapter leadership teams work year-round to create an inclusive home for gaming and epic gaming events for their members. 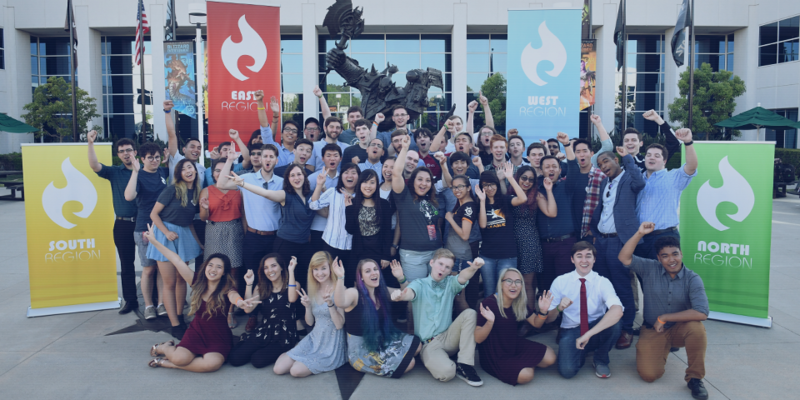 To help chapter leaders build amazing communities and events, Tespa provides year-round campus support programs, educational materials, partnership opportunities, and live support — everything a club needs to learn and grow. 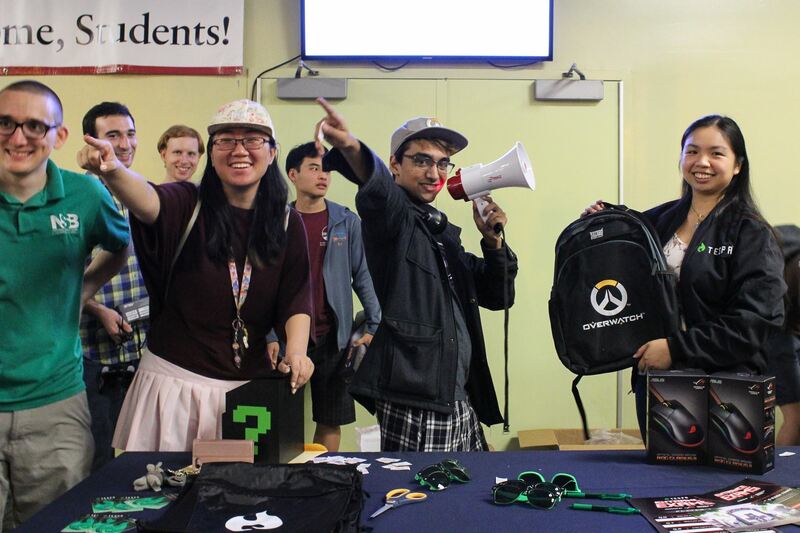 Tespa chapters are officially recognized gaming clubs at campuses across North America. To date, over 250 organizations, each with their own leadership team, have been chartered to host Tespa-supported gaming events for their members. Start off the year with welcome kits! For most chapter leaders, the first weeks of class are crucial for member recruitment and involvement. That’s why each year, we pack welcome kits with tabling gear and gaming giveaways to make sure our chapters have the biggest and baddest booths on the block. If you're an active chapter, you can log into MyTespa to claim your welcome kit. If your chapter leader account has not been activated yet, contact your community coordinator. Starting this year, all active chapters will receive unique welcome kit gear branded with their chapter's officially-designated logo. Beta chapters can claim a welcome kit with standard promotional materials. This year, chapter leaders will have beta access to a new tutorial and progression feature called Chapter Skill Trees. Together with their Chapter Coordinator, leaders will be able to target and complete skills for their chapter based on key club milestones. Each skill tree also comes with guides, templates, and chapter rewards for completion. Use our skill guides to target key club milestones and unlock rewards for your chapter! Host a campaign for your chapter. Live gaming events are the perfect way to bring a community together to share experiences and nerd out with fellow students. During the year, we allow chapter leaders to apply for Tespa campaigns, or officially recognized and sponsored chapter events. If chapter leaders consistently complete all campaign requirements, Tespa sends that chapter a box of gaming loot for attendee giveaways and tournament prizes. This year, we’re upgrading our campaign boxes with customization features! Team up with Tespa to host epic events! Tespa provides sponsored merchandise and items, you provide epic events for your community! Starting a chapter is an incredible learning experience for any aspiring leader. Learn more about our admissions process, beta chapter benefits, and active chapter requirements on our admissions page below. Looking for help with your next event? Not sure how to add new members to your chapter page? Meet your Tespa Chapter Coordinator, a chapter specialist dedicated to making sure you have everything you need to make your gaming community the best it can be. If you completed your club transitions last year, your Chapter Coordinator should have contacted you over the summer. If you haven't been contacted yet, email chapters@tespa.org so we can connect you with your coordinator. Your Chapter Coordinators are veteran community leaders tasked with supporting your chapter.